Why are ropes unsuitable to tie down a load of scrap metal? Why are ropes unsuitable to tie down a load of scrap metal? This article gives guidelines and advice around loading a car, motorbike, coach or heavy vehicle. It contains essential information from the Highway Code that you will need when you take your theory test. Make sure you try the free tests on this website to practice. When you are lifting a heavy load, adopt a stable position, bend your knees and keep your back straight. Get a good hold and move smoothly. Look ahead and keep your head up once you have a secure hold on the load. Try to avoid twisting your back. If you are using a barrow or trolley to move something heavy, the best position for the handle height is between your shoulder and waist. With any load, spread it low and evenly to maintain a good, balanced centre of gravity. Put heavy items near the centre line and light items on the side. 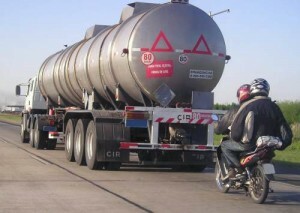 The driver or rider of any vehicle is the one responsible for making sure it is not overloaded. 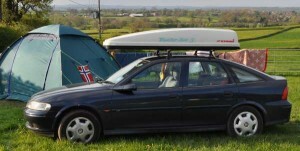 Any loads carried on a roof rack or luggage rack must be securely fastened. It’s an offence to drive or ride with an insecure load as it could fall off and cause a hazard for other road users. Choose the right tie downs for the load. Ropes should not be used to tie down abrasive loads such as scrap metal because they can fray and snap. If you are using ropes, the minimum diameter recommended is 10mm. The rope should be of at least three strand construction and the ends spliced or otherwise treated to prevent fraying. When using wire ropes the minimum diameter recommended is 8mm. They must be free from rust with no broken wires or strands. Tarps or sheets should be used to secure loose material such as rubbish, sand and garden waste to stop it blowing away. If you need more than one tarp, start at the rear so that the front of the rear tarp isn’t open to the wind. Split link and iron chains should not be used for securing loads as they are less reliable then solid link and steel chains. Chains should be used for carrying loads such as a heavy load of steel. When tying down loads the best knot to use is a dolly knot. They are non-slip knots that hold firmly. Practise tying them before you need to do it for real. This video has a tutorial which also shows a closed hitch and a half. And you can also see a diagram of one here. Rope hooks are not designed to withstand high forces. They are usually just welded or bolted to the underside of the platform. Many are so weak they can easily be distorted by a ratchet buckle when a webbing strap is tightened. Anchorage points should be built into the main frame or chassis of the vehicle. Don’t attach ratchet straps to rope hooks. When carrying spare sheets and ropes you must make sure they are tied down securely and don’t flap in the wind or fall into the path of other vehicles. It’s your responsibility to ensure that all children in your car are secure. Suitable restraints include a child seat, baby seat, booster seat or booster cushion. It’s essential that any restraint used should be suitable for the child’s size and weight, and fitted to the manufacturer’s instructions. If you are carrying a 5 year-old child in the back seat of your car and they are under 1.35 metres (4 feet 5 inches) but a correct child restraint is not available they must use an adult seat belt. If you want to carry a child using a rear-facing baby seat in the front passenger seat you must deactivate the front passenger air bags. It is illegal if you don’t. If activated in a crash it could cause serious injury or death. Ensure you follow the manufacturers instructions. 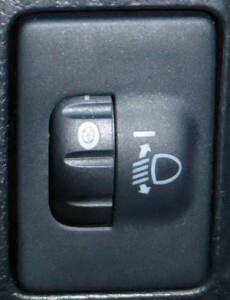 In some cars this is now done automatically. If you are carrying children under 14 years old it is your responsibility as the driver to ensure that they wear seat belts or approved child restraints where available. This video shows how damaging a crash can be for unrestrained children. Carrying a heavy load on your roof rack will make your vehicle less aerodynamic because of the increased profile, and will raise the centre of gravity causing it to handle differently, especially around corners. Even a roof rack on its own reduces the aerodynamic efficiency of a car. There are custom roof rack boxes which are more aerodynamic than the old way of simply piling your suitcases up on the roof rack and strapping them down. When carrying a heavy load such as a full car of passengers and luggage, or if you are travelling a long distance, you may need to inflate your car tyres more. There will be information about this in your handbook. If your car has automatically levelling headlights then you won’t need to adjust your lights downwards, but if you are heavily laden (and towing a trailer, too), then your headlights will point upwards and dazzle other drivers. Angle them down by looking for a switch that looks like the one in the image. Each vehicle will have a maximum towing capacity for a braked and unbraked trailer. You can find out this information in the vehicle handbook. The capacity is influenced by the weight of the vehicle, the strength of the chassis, the strength of the towing connection, the braking strength and the width of the tyres. When you are towing a trailer you can have a breakaway cable in case the main towing hitch fails. The cable activates the trailer brakes which prevents the trailer from running into the back of your car. Passengers are not allowed to ride in a trailer or caravan when it is being towed. Moving passengers in the caravan can make it unstable and could cause it to flip over. Caravans have very little crash protection. When towing on a motorway you are not allowed to exceed 60mph. If your trailer or caravan begins to ‘snake’ (sway from side-to-side) slow down gradually to bring it back under control. Don’t brake suddenly. The most dangerous time is on long downhill gradients. Strong winds or buffeting from large vehicles can cause a trailer or caravan to begin snaking. Fitting a stabiliser to your tow bar will help to reduce snaking by the caravan especially where there are crosswinds. However, this does not take away your responsibility to ensure that your vehicle/caravan combination is loaded correctly. Extended arm side mirrors will help you see around your caravan if it is wider than your vehicle. See more rules and guidelines for towing here. You will need a full motorbike licence to tow a trailer. Your bike must be more than 125cc and the trailer must not be more than 1m wide. Carrying a heavy load in your top box will upset the centre of gravity and make the bike less stable, especially at high speed. Any change to the handling could cause you to skid more easily, affect your ability to steer as well, or increase the braking distance. Carrying a bulky tank bag could affect your ability to steer as it can get in the way of your arms or restrict the movement of the handlebars. Throwover saddle bags can also reduce your bike’s stability. Before fitting a sidecar to your motorbike you should check it is suitable. Make sure that the sidecar is fixed securely and properly aligned. 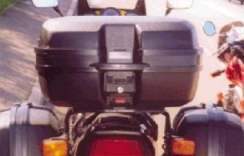 If your motorcycle is registered on or after 1 August 1981 the sidecar must be fitted on the left-hand side of the motorcycle. When riding with a sidecar for the first time keep your speed down and take extra care in corners as the bike will handle much differently. You must have a full motorcycle licence to carry a pillion passenger. Pillion passengers should always wear an approved helmet and (preferably) wear safety equipment such as protective trousers and a jacket, gloves and boots. Your motorbike will need foot pegs and a seat for them, and they must use the foot pegs. The pillion passenger should lean with you when you corner otherwise you will find the bike difficult to control. Remember that it will take longer to stop with a pillion passenger and, if your bike is powerful, it will be easier to lift the front wheel. If you are carrying a pillion passenger or a heavy load, or you are travelling a long distance, you should inflate your tyres more. Your handbook will tell you how much. You may also need to adjust your front headlight if you have weight on the back because it will change the angle of your bike and your headlight will shine further and higher which could dazzle other motorists. Adjust your rear suspension preload to be a little firmer, too. You must only carry a child as a pillion passenger when they can reach the handholds and footrests. All vehicles over 7.5 tonnes and trailers over 3.5 tonnes must have these markings on the rear of the vehicle. These are to inform other road users of the different characteristics of your vehicle. They should be kept clean so that they can be seen clearly at all times, especially at night and in poor visibility. 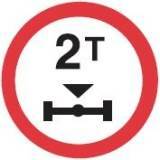 If your vehicle is over 7.5 tonnes then you won’t be able to go anywhere the following sign is shown. The vehicle’s payload is the maximum the vehicle can carry. It is the maximum authorised mass (MAM) minus the tare weight. The tare weight is the total weight of the vehicle including the crew and extra equipment. For example, if your vehicle has an MAM of 40 tonnes and the tare or kerbside weight is 10 tonnes your maximum payload is 30 tonnes. If a load becomes unsecured at any time during the journey the driver should stop and secure it. Ideally the driver should check the load after driving over any bumpy ground and after each rest break. The main causes of a lorry shedding its load are a sudden change in direction, harsh braking and driving too fast for the road surface. If a load is particularly heavy it can push a vehicle straight on in a bend. It’s important to slow down enough for corners especially when heavily laden. When part loading a lorry with an empty ISO container you should position it over the rear axles to increase stability and reduce the risk of the trailer wheels lifting when turning. You also need to ensure all locking levers are secured. If you’re carrying a steel ISO (International Standards Organisation) cargo container, ropes or straps won’t be strong enough to take the strain. This type of load requires a special type of restraint using twist locks. There’s more information about ISO containers here. For oversized loads the speed limit on a dual carriageway is 25mph and 30mph on a motorway. The maximum speed limit for a lorry weighing more than 7.5 tonnes maximum authorised mass is 40mph, although this is due to change in 2015 to 50mph, while consultation is currently underway to increase the speed limit for HGVs on dual carriageways to 60mph from 50mph. The maximum speed allowed on a motorway when towing a trailer is 60mph. There’s more on speed limits here on DVSA’s website. If you can’t see at any time when you are reversing your load you need to get someone to guide you. Weight transfer is when the vehicle moves causing forces on the load it is carrying. 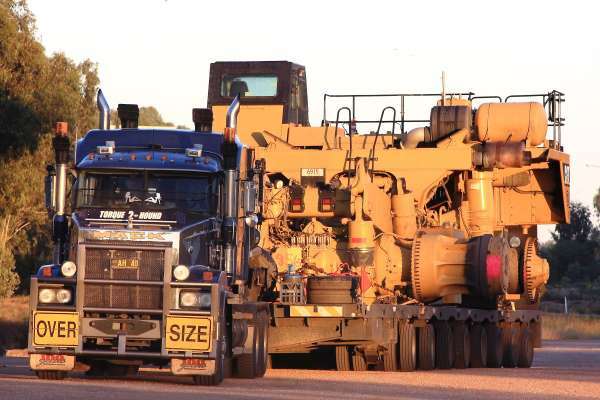 Large heavy loads can move forwards under heavy braking. They should be loaded against the headboard unless straps rated at least twice the strength of the load are used. Loads such as tubular steel can slide forwards and demolish the headboard with fatal consequences, so load your truck carefully. Loads can move sideways around corners and backwards under acceleration. Braking and cornering at the same time will create a diagonal force forwards. Curtains should not be used for restraint purposes. If you are driving a curtain-sided lorry and you notice that one of the curtains is bulging, it could mean that the load has shifted. The first thing to do is stop, then enter either via the rear door of the lorry or by the curtain on the opposite side to the bulge. Don’t open the curtain with the bulge as this could be the only thing holding the load in. Always make sure you have your park brake on before loading or unloading. 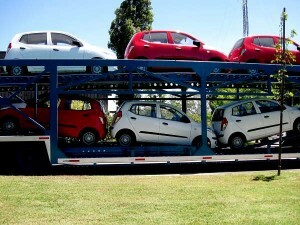 Some vehicles are fitted with equipment for lifting and removing heavy loads. Before lifting it’s vital to ensure the vehicle is parked on level ground. This will help eliminate the possibility of the load becoming unstable during lifting. It’s also important that you are on level ground when unloading from a tipper trailer. When discharging a load from a tipper vehicle the centre of gravity is raised to a critical position. It’s vitally important the vehicle is on a level, solid surface before engaging the hoist mechanism.. Make sure with a tipper that you are well away from overhead electrical lines. If you are making several deliveries, as you remove items from the rear of the truck, it’s possible that more weight (relatively) is placed over the front of the truck and it can exceed the axle limits for the front. Make sure to redistribute your load to avoid this. Information about your axle weights can be found on your vehicle plate which is usually found in a prominent place on the vehicle and any trailer. Some roads have limitations on axle weights, in which case you might see a sign like this. If you are using a lorry-mounted crane, deploy the vehicle stabilisers to keep it from tipping over. When lifting very heavy items consider using chains with compatible tensioners if you feel that ropes and straps could snap. Short wheelbase, smaller heavy vehicles can bounce in a much more pronounced way on bumpy roads when empty. The change in balance can increase braking distances. If your load has a demountable body it will have legs that can be lowered to support the body and you can drive your truck from underneath it. The body can then be emptied and reloaded without you having to wait with it. This video from the USA explains the concept. When driving a tanker vehicle you need to be careful when opening tank hatches because the walkway could be slippery, and there could be overhead cables and pipeways. Tankers are fitted with baffle plates to help prevent liquids from sloshing around and creating waves. If waves form they can tip the vehicle or cause a shift in weight that causes the vehicle to surge forward. If your tanker is not divided and you are only carrying a large load you should still brake carefully to avoid waves. Brake in one steady run rather than a little at a time otherwise you can cause waves in the liquid. If you are working on the platform of a flatbed lorry the safest way to get down is to use a suitable set of steps as these will lessen the chance of falling and breaking or twisting your ankle or leg. Axle weight limits should not be exceeded because it results in reduced braking efficiency and can cause brake fade. It is an offence you could be prosecuted for. It also causes more wear on the road surface. Tankers are least likely to roll when they are fitted with tri-axles with single wheels. The type of suspension fitted to a vehicle will influence its resistance to ‘roll-over’. Modern tri-axle semi-trailers fitted with single wheels on each side extend the tracking width available, compared to twin-wheeled units, and are more stable. Jack-knifing is most likely to occur when the vehicle is empty and turning. Check here for moreinformation about jack-knifing. Rollovers usually occur as a result of the inside rear wheels of an articulated vehicle starting to lift when negotiating a curve, such as exiting a roundabout. Changes of direction can create a situation where the vehicle is unstable due to movement of the load. 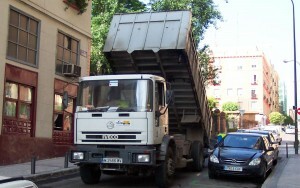 The problem frequently involves vehicles carrying fluids in bulk. An articulated car transporter will be least stable when only the top level is loaded because the centre of gravity will be higher. Tall trailers which are loaded near the top are susceptible to being tipped over in strong sidewinds. Before uncoupling or recoupling make sure the trailer brake is applied. After uncoupling you will disconnect the electric line. It’s important to stow away all your electric cables and air lines safely to avoid causing injury to others. Connectors left lying around can get damaged if run over by another vehicle. It’s your responsibility as the driver to make sure that this does not happen. After you have recoupled your trailer ensure that the locking mechanism is secure by selecting a low gear and attempting to move forwards while the trailer parking brake is on. Then you will need to apply the dog clip to the kingpin. Wide loads are a hazard to other road users. In addition to having an attendant with you, you must also notify the police. Side markers must also be used to show other road users that your load overhangs the limits of your vehicle (any more than 2.9m wide). If your vehicle is over 17 metres (55 feet) long and you wish to cross a level crossing, you must stop before the level crossing and telephone the signal operator. Vehicles which have large overhangs such as car transporters need to be careful when turning not to hit trees, lamp posts and other items close to the edge of the road. If your vehicle is more than 5.25m tall you must inform telephone companies of your intended route. A driver of any vehicle more than 3m tall should be wary of bridges, tunnels and electrical cables. Hazardous loads are marked with a diamond shaped warning label on the side and back of the trailer. This label carries other information to identify the type of hazard more specifically, such as flammable gas, toxic gas and corrosive agents. These are just some of the types of hazard encountered. Strict regulations apply to the storage and carriage of these goods. All drivers of this type of load must receive specific certificated training. Perishable loads and some chemicals might need to be carried at chilled temperatures. You may need to be aware of correct hygiene and safety procedures. Fragile loads need extra care in loading and handling. The load must be secured using the most appropriate form of restraint. Air suspension reduces the vibration caused by the impact of the lorry wheels on road surfaces. This also reduces damage to the road, bridges and adjacent structures. Air suspension can help when carrying fragile loads such as glass. When transporting animals you should have all necessary information regarding their care during transportation. You should have all the practical experience needed to look after the animals. When animals are being transported they may be stressed, avoid ill-treating them. If you are transporting a flock of sheep you must make sure there is direct access to the animals and there is sufficient bedding material on the floor. The legislation governing the transport of animals is known as ‘The Welfare of Animals (Transport) Order 1997′. Remember, the well-being of the animals during transportation is your responsibility. When transporting animals which will only partially fill your trailer, create smaller compartments using moveable panels. It’s important you restrict the space livestock have to move around as it can affect the stability when braking and cornering if they have freedom of movement. If you are carrying another vehicle piggy-back on your lorry chocks should be used to secure the wheels and restraining straps to keep it secure. Loads that are hanging such as meat carcasses can have a pendulum effect around corners. As you turn a corner, the hanging meat carcasses will all swing to one side of your vehicle adding extra pulling forces towards the outside of the curve. The faster you turn a corner, the greater this force will be. Even after taking the corner the carcasses will continue to swing back and forth, like pendulums, making the vehicle unstable. Keeping your speed down while cornering will help prevent your vehicle from being in danger of turning over. For safety reasons, and to conserve fuel, speed limiters are fitted to most modern buses and coaches and they work by restricting the fuel supply. Most speed limiters work by taking a speed signal from the tachograph and transmitting it to the engine management system. This reduces the fuel supply to the engine, and allows the speed of the vehicle to be controlled to specific limits. The speed at which a limiter is set must be shown on a plate clearly displayed in the cab. You should be aware of the effect a speed limiter will have on your vehicle, especially when overtaking. Repair of speed limiters can only be entrusted to authorised Speed Limiter centres. They will ensure that all connections are sealed and that the system is tamper-proof. Coach drivers should wear a high visibility vest when unloading luggage from the coach as they will often be by the roadside and therefore should make an effort to be visible to other traffic. When you are stopped, passengers should take their personal property and valuables with them unless they can be locked in secure luggage compartments. For more information about carrying passengers, read our guide here.